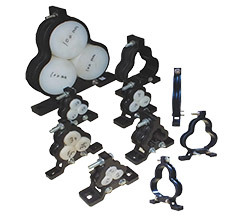 AJMERA Trefoil clamps are used for keeping three single core cables in Trefoil arrangement which helps to maintain magnetic symmetry thereby to avoid current loss and the heating of electromagnetic. 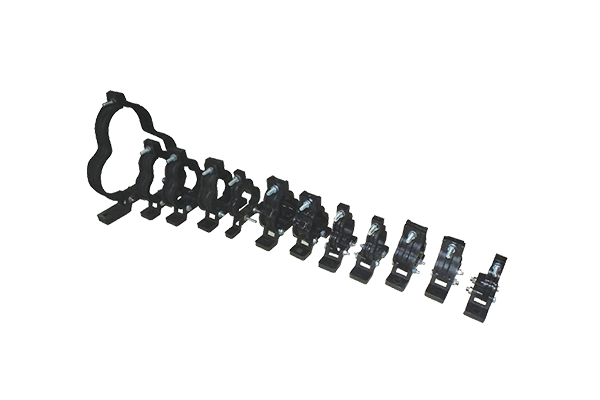 AJMERA Trefoil clamps have been manufactured by molding process from Virgin Glass Filled Nylon materials. 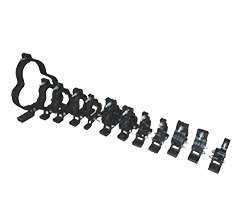 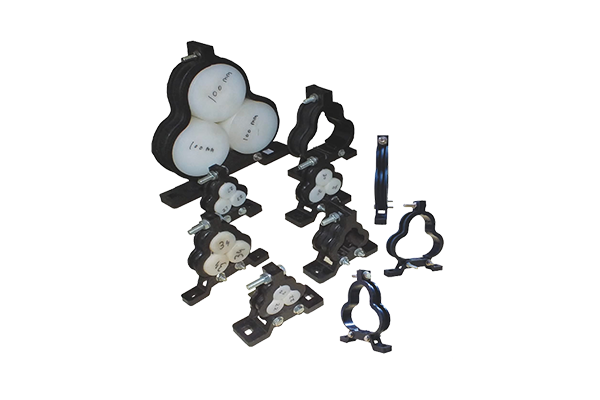 Glass filled nylon materials are used to increase the flexibility of the clamp & to avoid the breaking the clamps from the hook while the tightening procedure of the three single core cables. 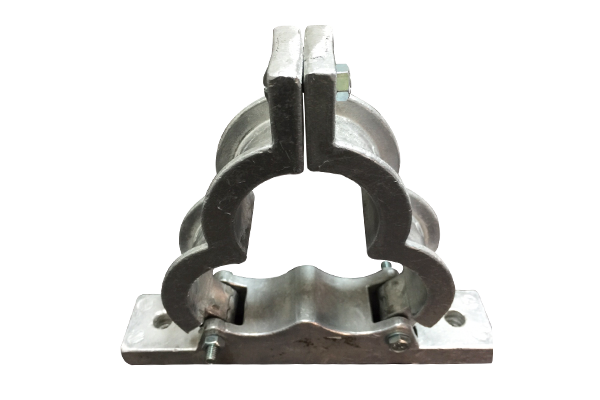 Three single core cables are fixed in to the Trefoil clamps by means of Bolts, Nuts & Washers are commonly SS hardware or MS Zinc passivity, which depends upon the Customer's request. 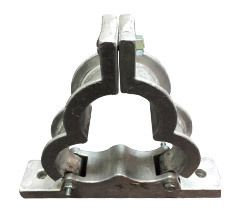 We are in a position to supply Trefoil Clamps with the dimensions between 13mm to 115mm Cable Od. 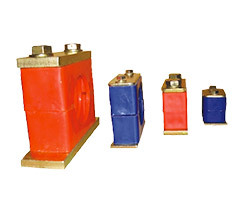 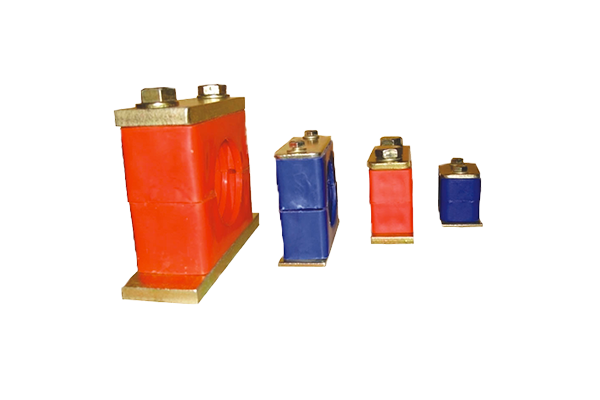 Moreover we are also capable to cater to the demands of our clients according to their requirements and dimensions.